Oh, please, Kristin! 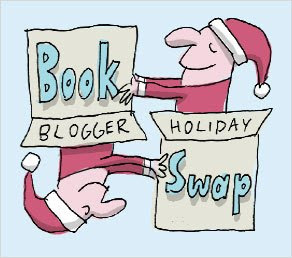 You're as much, if not more, of a book blogger than I am! We all know I talk about food most of the time anyway. And what group of book bloggers wouldn't go freaking insane to have you be part of their group? Can you imagine the sweet, excited soul who will pull your name? It'll be so much fun! Sign up! P.S. I can't believe you'll be in NYC next week!!!! After a bus ride together in Anaheim and all the notes back and forth in class, I'm thrilled that we'll actually be in the same city! Unless, of course, it's the person who emailed me to tell me reading my book was like finding cockroaches in her ice cream. :o) Okay, you've convinced me. I'll sign up!